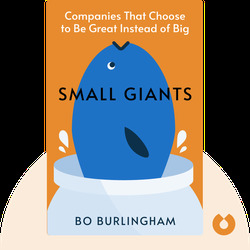 There’s a new phenomenon emerging in the American business world: Small Giants. These are privately owned companies that don’t follow the usual corporate dogma of growing revenues at any cost. Instead, they’re driven by their heart-felt enthusiasm for their product, and focus on factors like quality and caring for their workforce. 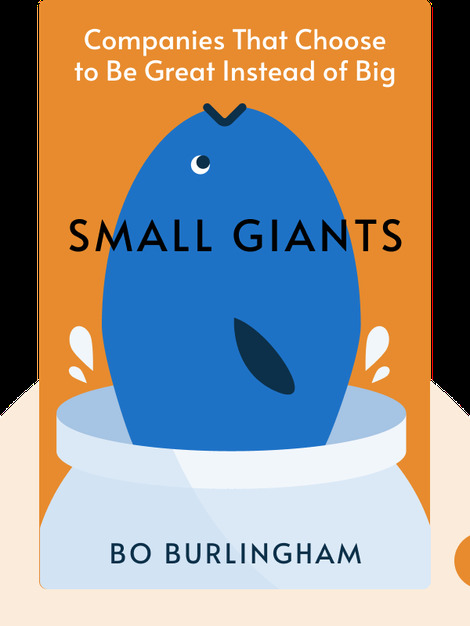 The author has examined 14 small giants to explain how this strategy has made them successful. Bo Burlingham is editor at large at Inc. magazine and has written for other publications such as Mother Jones, Boston Magazine and Esquire. He’s also been a board member for Body Shop Inc., and founded the global business network PAC World.